If there was ever a plant to deter all comers this is it. 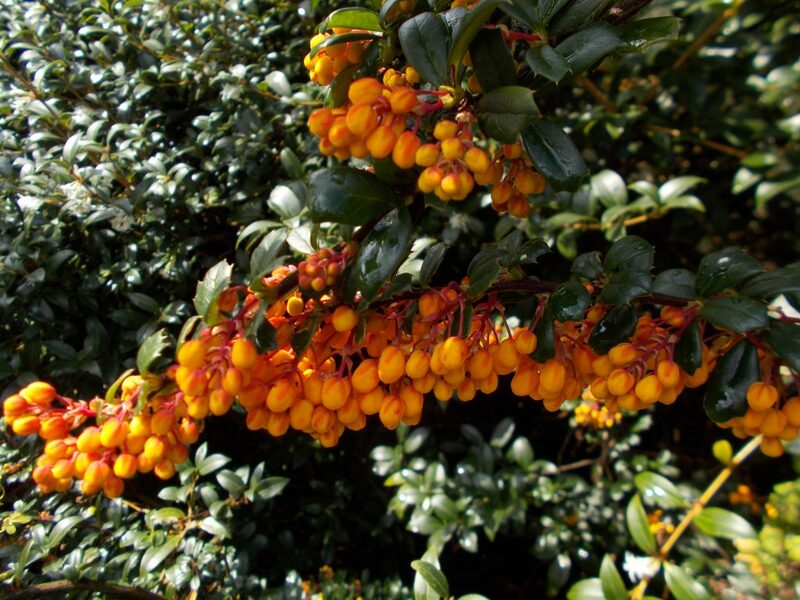 The leaves of Berberis darwinii are clothed in lethal spines. Anyone who has cultivated around or weeded beneath the canopy of this plant will have experienced the spines hanging from the flesh of their hands and gathered on clothing during the process. This however did not deter Charles Darwin, who, as naturalist on the voyage of the Beagle discovered the plant in 1835. It was subsequently introduced to Britain by William Lobb in 1849 from Chiloe. 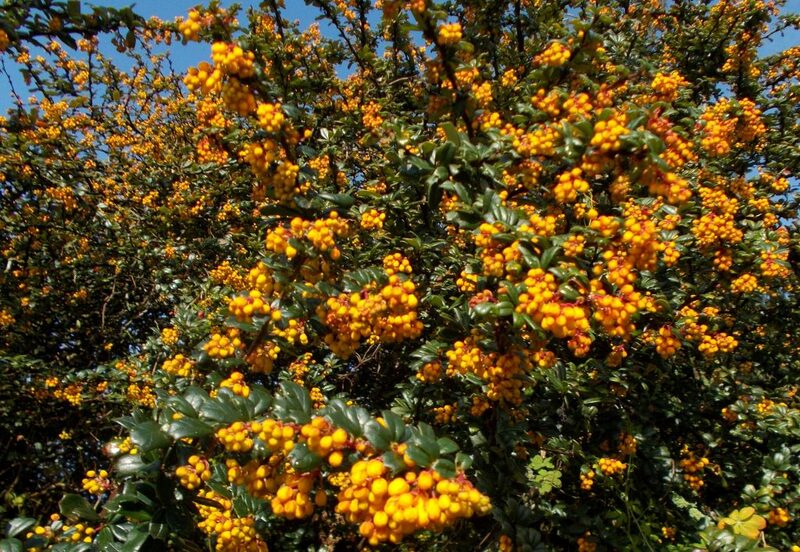 What makes this plant so useful is the prolific flowering and strong evergreen mass that it grows into. 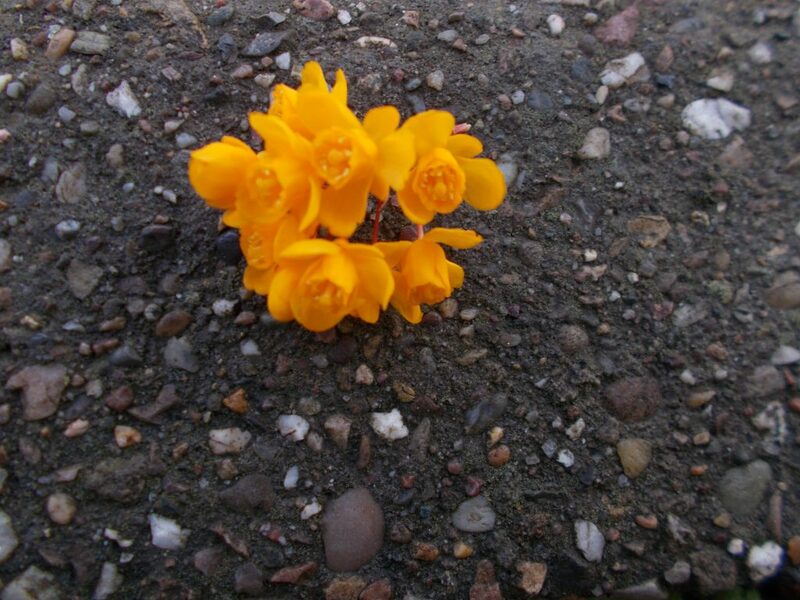 The golden orange flowers open with the warmth of the sun. To aid pollination the stamens have a mechanism whereby as the pollinating insect delves down into the base of the flower the filament stalk is activated to ping towards the style, itself shorter than the stigma to prevent self-pollination. The insect on departing the flower has pollen deposited on its body parts. Arriving at the next flower it brushes this pollen onto the receptive stigma. Result; fertilisation and subsequently a prolific crop of black berries. Prune flowered growth immediately after flowering before the black fruit has a chance to ripen and shed its fertile seed.